Michael Terrell believes true growth happens where insight, effort, and a willingness to try something new intersect. As the founder and managing partner of the Terrell Leadership Group, he loves helping his leaders achieve this growth in ways that have measurable impacts on their company cultures, business outcomes, professional and personal relationships, and well-being. In addition to his industry work, Michael facilitates learning groups for one of the most popular courses at the Stanford Graduate School of Business called Interpersonal Dynamics, where he helps MBA students develop awareness and communication skills that serve them powerfully in their next phases of leadership. 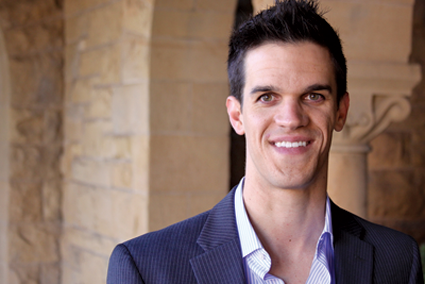 Michael holds a degree in Management Science and Engineering from Stanford University where he was a Mayfield Fellow. When Michael's not doing fulfilling work with his clients, you can find him trekking through San Francisco with his Australian Shepherd, Charlie, reliving the glory days playing city-league basketball, and belting along to his latest Spotify playlist while driving throughout the Bay Area. Glenn Terrell is a former startup founder and CEO whose coaching focus is to help talented people become even more effective and fulfilled in their leadership roles, and to build exceptional teams and systems. In his 1:1 executive coaching work, he works with leaders on their most pressing developmental needs as well as advises on financing/valuations and day-to-day operations. Working with teams usually falls into two buckets: (1) Early stage/growth companies needing systems and process to capitalize on their market opportunity and rapid team growth and (2) Private/closely held businesses needing a different set of tools and processes and the implementation plan to expand their footprint, capitalize on their sales channels, diversify their brand and marketing vision and customer engagement, or build a higher functioning internal team. Specific areas of focus are optimal capital and cash flow to fuel sustainable growth, as well as the development of longer range strategic plans.